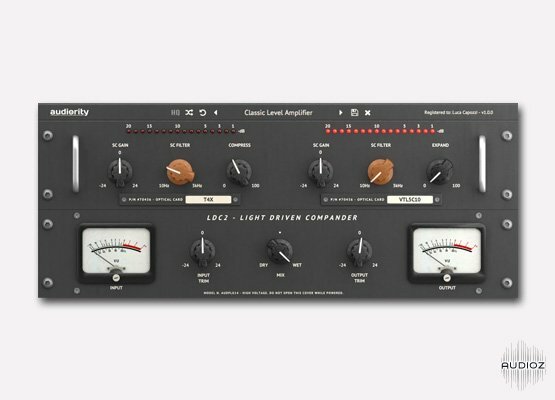 Audiority LDC2-Compander v1.0.0 Incl Patched and Keygen (WiN and OSX)-R2R has been exclusively released on AudioZ by funtime who chose to ask not to post mirrors. Thanks I needed a Compander in my life! 3. Go to "C:\Users\Public\Documents\Audiority\Licenses" and paste the LDC2 Compander.alf file here. Make the 'Licenses' directory in "C:\Users\Public\Documents\Audiority" only. You can load the license from the plugin normally, without rename it. Whole 200MB RARed of it. I wonder how big is just VST2 DLL. They must be using a pile of convolution samples, and of course 10 different sizes of GUI. That's true. It's like 2GB when installed and the installation lasts quite a while. Yet, the sound didn't change. It's a good example of where this is going. 1. Generate license file "LDC2-Compander.alf"
2. Rename it to "LDC2 Compander.alf"
3. Put it to "C:\Users\Public\Documents\Audiority\Licenses"
It's useful, simple to get a nice sound and very musical. It seems more suitable for emphasizing something, rather than tame. "Crackles" sounds more like your buffer size is too small in your audio settings. In 2010 I gave up women and Booze. It was the worst 20 minutes of my life. If u get crackles it's only regard to your too low daw buffer size.. I think I expressed it wrong. It is a distortion, not a crackle. My buffer size is suitable.